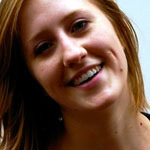 Megan Brian – Megan grew up in Bay Area in the small town of Fairfax. She graduated from Mills College with a BA in sociology and a minor in art. She decided to combine her passion for the study of how groups function with her love of art. What better, then, to coordinate events for the arts? Megan began planning development events at SFMOMA and then transitioned into the education department where she is the Education and Public Programs Coordinator. For the past three years Megan has helped organize many of the museum’s public programs, from films to lectures to live art. When not at work, she can be found at karaoke or in a movie theater. Patricia Carino – Patricia is a first generation Pilipino-American. She grew up in various cities around the West Coast and is the eldest of seven. In May 2010, she received a B.A. in History of Art from the University of California, Berkeley. Throughout her college career, she participated in literary arts, spoken-word and Pilipino-American student organizations as a writer and events coordinator. She has interned and worked for various cultural institutions including Oakland Museum of California, Lawrence Hall of Science, and Haines Gallery. In the summer of 2009, she was selected as one of eleven participants in the Arts & Business Council of New York a Division of Americans for the Arts’ Multicultural Internship Program where she completed an internship at the Bronx Museum of the Arts. She currently works in fundraising at the California College of the Arts and as a Marketing Fellow in Emerging Arts Professionals/San Francisco Bay Area. 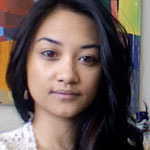 Patricia’s passions include cultural research, presently Pilipino-American contemporary visual culture, and investigating innovative marketing and fundraising strategies for the arts. Calcagno Cullen – Calcagno is currently the Program Coordinator for Art4Schools Program at Community School of Music and Arts in Mountain View, a program that reaches 21 schools and over 7400 students each year. In addition to her work with CSMA, Calcagno freelances for the Santa Clara County Office of Education, offering workshops on integrating art into classrooms to teachers and administrators. Before relocating to San Francisco, Calcagno managed school outreach programs at the Cincinnati Art Museum and worked as an adjunct professor at the University of Cincinnati and Chatfield College. Calcagno is also a multimedia artist and has served as an Artist in Residence at Kala Art Institute in Berkeley, CA over the past year. Her work strives to create and bring attention to relationships and communities. She has shown her work widely throughout the US, including having work in curated exhibits in New York, Ann Arbor, Cincinnati, Boston, and San Francisco. Most recently, Calcagno was included in the performance and film festival DISTANCE in London, England. She is also part of Lo Studio dei Nipoti, an Italian-American artist residency, and is planning on working in Calabria with the program in 2012. 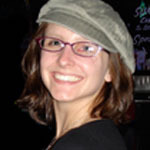 Allison DeLauer – Allison is a poet and non-profit professional. Since 1996, she has worked with cultural organizations, artists, philanthropists, and social change agents in the Bay Area. 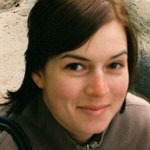 She has worked in development for SFMOMA, SF Ballet, ForestEthics, fuseproject, Chicken &Egg Pictures, KOMAZA, and The Wilderness Society. Her clients have included an international performance art troupe, a mom and pop post-production house, and a poverty-eradication conference. Her poems and essays have appeared in literary journals, online, and in numerous emails to friends and family. Her most recent performance collaboration All I Wanted to Say premiered at The Garage and the Fury Factory Festival in 2011. She has received residencies from the Vermont Studio Center and The Caldera Center for the Arts. She earned a BA from the University of Redlands and an MFA from California College of the Arts. She grew up in Sequoia National Park and Los Angeles. She lives in Oakland, California. 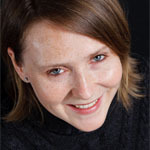 Maura Dilley – Maura is a Collaboration Consultant with a M.Sc. in Strategic Leadership towards Sustainability. Through workshops and games, she seeds collaboration between sustainability change agents, helping them to make strategic contributions towards systems-level change. Her specialties include Open Space Technology and The Natural Step Framework. She is a cross-cultural and international specialist who has worked and studied her way around the world. Calling on imagination, a love of beauty and good humor, Maura intends to make sustainability the loudest party on the block. She lives in San Francisco, CA. Beatriz Dominguez – Bea is a full blooded Salvadorian who moved to California in pursuit of artistic glory. She graduated with a B.A. in Art History from San Francisco State University, and fulfilled her sense of wanderlust through a magical year in the South of France. Since then, she has worked in education, community engagement, development, marketing, event management, and administration both in non-profit arts and for-profit ventures. Although, she originally wanted to be an artist, she quickly realized arts administration suited her “type A” personality best. She is happiest exploring issues of sustainability for artists and arts organizations, and dreaming up ways in which arts workers can inject new energy or thinking to improve current art non-profit models. When she is not thinking about, talking about or experiencing art, she enjoys exploring the world through travel, music, literature, and friendship. 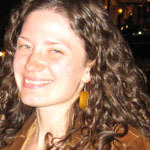 Lauren Frieband – Lauren is committed to building the San Francisco and extended arts network (the whole system of interconnectedness and styles) and to encouraging public involvement with the arts. She is fascinated by art which comments on contemporary or historical social issues. A Californian to the core, she is seduced by other places and peoples. She studied Anthropology and Psychology at UC Santa Cruz and also worked with the Museum of Art & History, which strives to be an arts hub for the city and with the California Association of Museums (CAM) and one of its committees, the Green Museums Initiative. She is currently living in Oakland and working on a variety of projects: business development for the Emerging Arts Professionals/SFBA; development and fundraising for Jewish Family and Children’s Services of the East Bay, a hyper-local social services agency; Project Transit, a start-up focused on breaking gender and sexuality boundaries through art and awareness; the completion of a certificate in Museum Studies at JFK University; and the negotiation of all of this emergence and new opportunity! Lauren focuses a lot of her time on art rooted in social issues, plant cultivation, design and sewing, nature escapades, seat-of-the pants cooking, education, friendship and local community. Jackie Hasa – Jackie loves developing programs that empower audience members to create, and is thrilled to see the recent growth of this sort of work in the arts and cultural sector. As a 2010-2011 fellow in the public programs group, she helped conceive, plan, and execute the “Friday Firsts” mixer series, which focused on interactivity and the five senses. Currently, she works at the American Institute of Architects San Francisco, as the Membership/Sponsorship Coordinator, and has also worked at the Yerba Buena Center for the Arts and the San Francisco Shakespeare Festival. As she has for the last five years, she continues to help with all aspects of SFZero’s Journey to the End of the Night street game. In the future, she hopes to not only develop dynamic programs, but also work to strengthen the cultural institutions so necessary for their effective implementation and expansion. Randi Lund – Randi grew up and went to school in New Jersey. She was always interested in art but was introduced to community arts when, for a college class, she became a mentor for an after-school theater program at a city elementary school. She fell in love and soon after graduation landed a position at a small community arts center, where she did a bit of everything. After a couple years, she and her then-boy friend / now-husband decided to start over in a new city and chose San Francisco. Without jobs or a place to live, they packed up their car and drove across the country to their new home. Five years later, Randi has continued in nonprofit arts and currently works in fundraising at San Francisco Opera. She was naturally led to EAP to help clarify the next step in her career trajectory. Michelle Lynch – Michelle is San Francisco-based artist, arts professional and curator. She is a fundraising consultant for arts organizations, and the curator of performance programming at the Meridian Gallery. 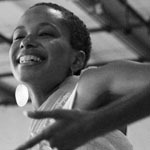 Michelle holds a BA in Dance and International Studies from Goucher College (Baltimore), and an MA in Dance Theatre: the Body in Performance from Trinity Laban Conservatiore of Music and Dance (London). She has performed and presented work in venues across San Francisco and Europe as well as worked as an arts professional with Epiphany Productions and Joe Goode Performance Group. 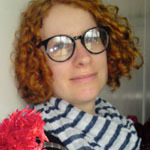 Michelle is a member of Trio Collective, a loosely London-based experimental performance collective. 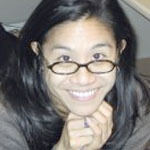 THERESE F. MARTIN – Therese is a professor at Golden Gate University (GGU) and a management consultant. She has worked, consulted, and lectured in the fine arts sector and has served on numerous boards of directors and on panels for the City of San Francisco and SFUSD’s Visual and Performing Arts Office. She is the treasurer/ board member of the Association of Fundraising Professionals. She was the executive director/chief executive officer of ArtSpan, a San Francisco visual arts nonprofit, where she executed turnaround and re-organization. She was the development director of Young Audiences of Northern California. She served as secretary/board member of Oasis for Girls, a young women’s resource organization, and as the treasurer/executive committee member of the Arts Providers Alliance of San Francisco, a consortium of arts education providers. 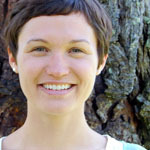 Ms. Martin is a doctoral student at GGU. She holds a MBA in executive business administration from GGU, a CFRM from the Center on Philanthropy at Indiana University, and a BFA in art history from the University of Kansas. 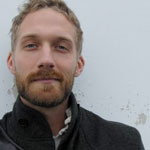 Ian Smith-Heisters – Ian works as a consultant providing technology support to artists and media companies. He received a degree in Dance and Computer Science from Marlboro College in 2005, and has since endeavored to make his dances more logical and his computers better at shaking “it”. He has worked with Camille Utterback, The Merce Cunnginham Dance Foundation, Other Minds, Apple Inc., The Sundance Institute, and Howcast.com. He is also active as a dancer, having trained with Merce Cunngingham, Anna Halprin, Shinichi and Dana Iova-Koga, and Sherwood Chen. Ian has performed with Anna Halprin’s Sea Ranch Collective, Terre Unité Parker’s Experiments in the Environment Ensemble, and InkBoat. Ernesto Sopprani – A self proclaimed “instigator”, Ernesto coordinates location-specific and primarily community-based performance projects. Whether as an artist or as an arch-collaborator, his work is geared towards investigating innovative and self-sustainable models of presenting art and performance, specifically queer work, which expands upon the common definition of Queer and challenges his and his community’s relationship to live performance. As Director of THEOFFCENTER, Ernesto has overseen the production, curation and execution of dozens of site-specific, research-based art interventions, 2 large scale performance festivals, multiple performer centered art programs both at presenting houses (YBCA, Mission Cultural Center, Mission Dance, The Magic Theatre, SOMArts and others) as well as public spaces (BART trains, city streets, and a privately owned boxing ring). Ernesto, an experimentalist of prose and form at heart, is the co-founder of 11 11 ArtGroup, a creative partnership funded with life partner and collaborator Evan Johnson; 11 11’s goal is to create and present queer[ed] text based theatre and sound installations. 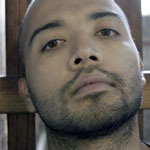 Ernesto is participant of the 2011 YBCA’s Bay Area Now 6 program as well as a fellow for the 2011 Emerging Arts Professionals. 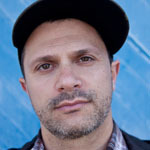 Dan Wolf – Dan is a multi-disciplinary performer who combines conventional theater styles with the themes, language, music and aesthetics of hip-hop. He is a founding member of the hip-hop collective Felonious and a resident artist with at SF’s Intersection for the Arts. His play Angry Black White Boy ran at Intersection in 2008/2009 and was named Top Ten Best Theater by both the San Francisco Chronicle and Examiner. His play Beatbox: A Raparetta (co-authored with Tommy Shepherd) is published by TCG Books in the Hip Hop Theatre anthology Plays from the Boombox Galaxy. During the day he is the Program Manager/Performance Curator of The Hub at the Jewish Community Center of SF which produces and presents cutting-edge events that promote the revolution of Jewish arts, culture and community. Dan was named to to inaugural Big Jewcy list by Jewcy.com. 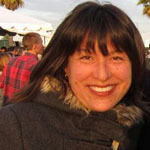 Louise Yokoi – A native of the Bay Area, Louise is passionate about helping museums and nonprofit arts organizations utilize tools and strategies in innovative ways for capacity building and effective fiscal management. She brings her unique combination of nonprofit and for-profit experience to financial analysis, fundraising, and strategic planning projects. She has worked with Headlands Center for the Arts, the California Association of Museums, the Oakland Museum, and the Berkeley Art Center. She received her B.A. in English Literature and Art History from the University of California, Irvine and Masters of Arts in Museum Studies and Masters of Business Administration from John F. Kennedy University. Louise is currently the Director’s Circle Development Associate at the San Francisco Museum of Modern Art.